Integrate financial data, no matter where it comes from and in the way you need. Cut out the time lost in data processing. Base your work on reliable data. Analyse it without having to run endless cut-and-paste operations from Excel – with the inevitable risk of errors. Manage simple or complex balances and consolidations. Generate reports from your dashboard in real time. Optimise their distribution at the various levels of decision-making. iLeo Financials acts as your ally every day, boosting your team’s productivity and giving you the complete overview of your activity that you need. Inject added value into your data. iLeo Financials offers a complete suite of accountancy, financial and business intelligence tools. Boost your department’s productivity – flexibly and economically. You become an irreplaceable business partner. All your company’s financials are handled in real time, and are available via your tablet or smartphone. Communicates smoothly with your other software and existing processes. So you eliminate the risk of error, notably when dealing with Excel files. Reorganising the group while migrating from standard accounting to a complete financial management tool was an incredible challenge! Synchro did the job without a hitch. The effectiveness and quality of our data improved since the migration towards Synchro. We can now concentrate on better budget control. iLeo Financials seamlessly integrates into our other reporting and management tools. Ultimately, this means fewer errors and greater productivity. Awkwardness, errors and slowness are threatening your profitability? Data that is in different silos and arrives in dribs and drabs – and sometimes late – are sources of error that you want to avoid.  iLeo Financials integrates and automatises the processing. Your financial software has reached its limit and lack efficiency? Your department is under pressure. The day-to-day workload and cumbersome processes are limiting the production of reliable, real-time data. You feel you are not producing the quality of information needed for the good management of the company. So you must consider iLeo Financials as an option. Your international visibility is limited and slows you down? The slowness of transfering and treating datas coming from your international activity is delaying your analyses (cashflow, financial ratios, debts, …)? Get rid of this handicap to your development. Do you need more precise analyses? Identifying the growth factors through a better understanding of the company’s financial results is an absolute must – now more than ever. If you have to tap into quality information from complex environments and/or across different fiscal periods… iLeo Financials has the answer. News, Tips, … Don’t miss anything! Want to go to the next step?